Let’s face it—guys and girls—if you were given candy for Valentine’s Day, you wouldn’t turn it away. Valentine’s Day and candy are a perfect match! How long have sweets and this love-related holiday been intertwined? Find the answer to this question, plus many other facts surrounding Valentine’s Day and candy, here! And don’t forget to share them with your sweetie! 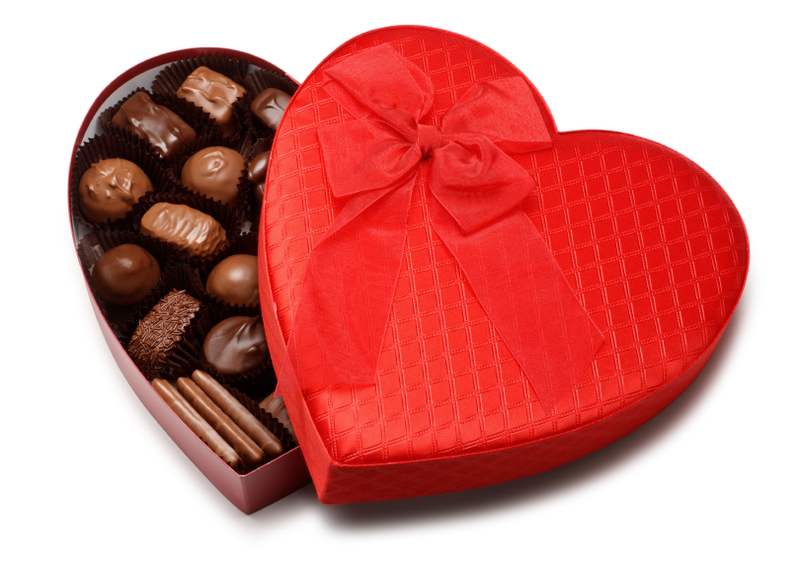 American men have said that they prefer to receive a box of chocolates for a Valentine’s Day gift. As an elixir for love, chocolate has been believed throughout history to bring smiles to the broken-hearted. About 8 billion conversation hearts will be produced this year. That’s enough candy to stretch from Italy to Arizona 20 times and back! Children receive 39% of all Valentine’s Day candy and gifts. Following them are wives/mothers (36%), husbands/fathers (6%), grandparents (3%) and even pets (1%). Both American men and women agree that the most romantic place to share candy is in front of the fireplace. Check out About.com for more fun Valentine candy facts! And stop by your local Sparkle Market for all of your Valentine candy needs!